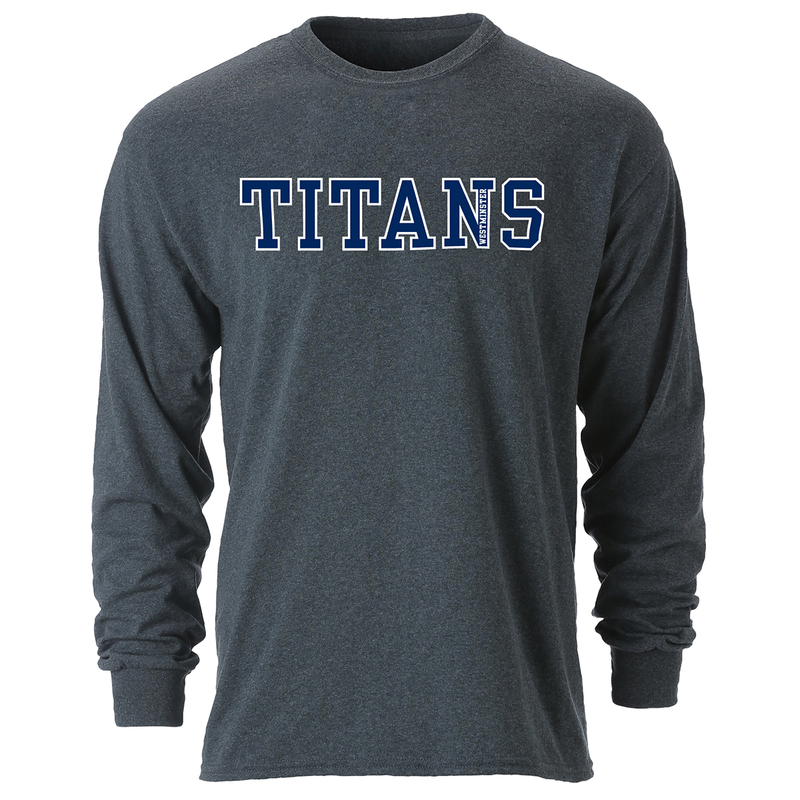 Champion long sleeve jersey tee with screen print stencil lettered FOOTBALL--HOME OF THE TITANS. 100% cotton jersey. Available in Navy. Please select option for Champion Long Sleeve FOOTBALL Tee-Navy. Champion long sleeve, screen printed, jersey tee for Mom has set in neck ribbing. 100% cotton jersey. Available in Navy. 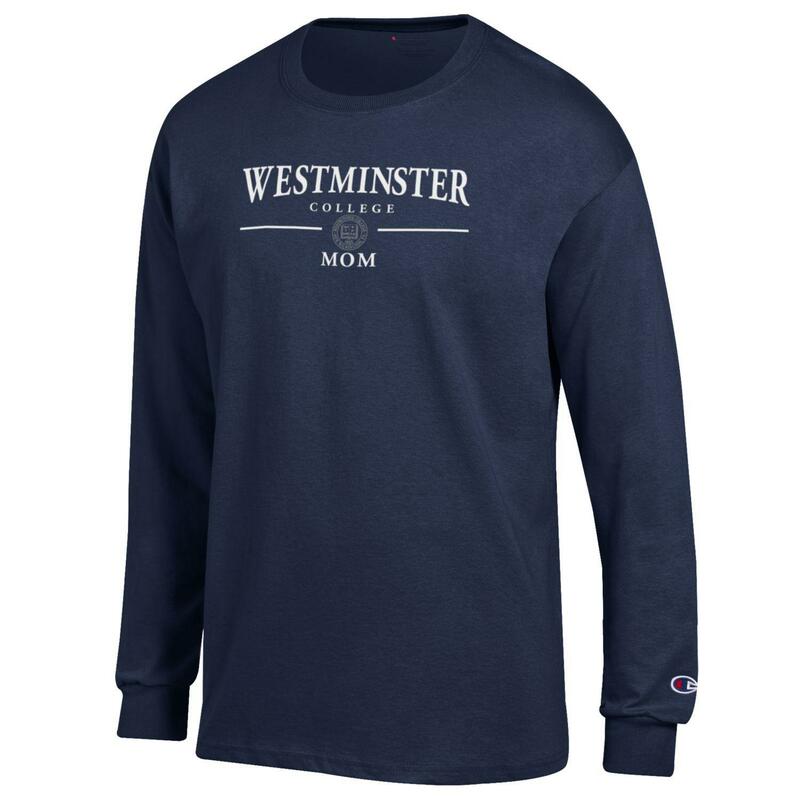 Please select option for Champion Long Sleeve MOM Tee-Navy. Champion long sleeve jersey tee with screen print stencil lettered SOCCER--HOME OF THE TITANS. 100% cotton jersey. Available in Granite Heather Gray. Please select option for Champion Long Sleeve SOCCER Tee-Dark Gray. Champion short sleeve, screen printed, jersey tee for Alumni has set in neck ribbing. 100% cotton jersey. Available in Navy. Please select option for Champion Short Sleeve ALUMNI Tee-Navy. Please select option for Champion Short Sleeve BASKETBALL Tee-Navy. Champion short sleeve, screen printed, jersey tee for Dad has set in neck ribbing. 100% cotton jersey. Available in Navy. Please select option for Champion Short Sleeve DAD Tee-Navy. 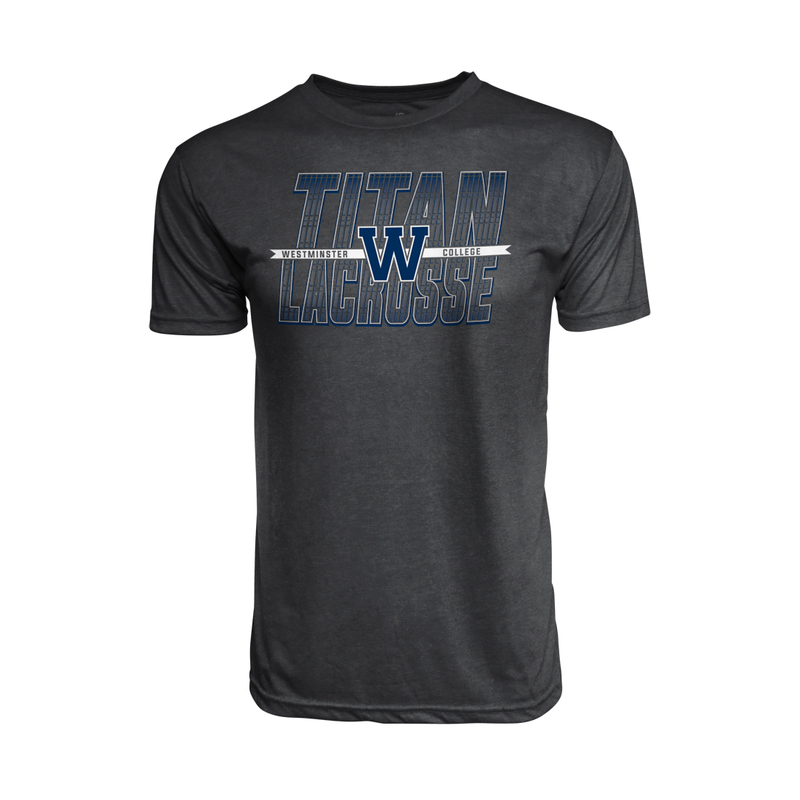 Champion short sleeve jersey tee with screen print stencil lettered FOOTBALL--HOME OF THE TITANS. 100% cotton jersey. Available in Navy. Please select option for Champion Short Sleeve FOOTBALL Tee-Navy. Champion short sleeve, screen printed, jersey tee for Grandma has set in neck ribbing. 100% cotton jersey. Available in Navy. Please select option for Champion Short Sleeve GRANDMA Tee-Navy. Champion short sleeve, screen printed, jersey tee for Grandpa has set in neck ribbing. 100% cotton jersey. Available in Navy. 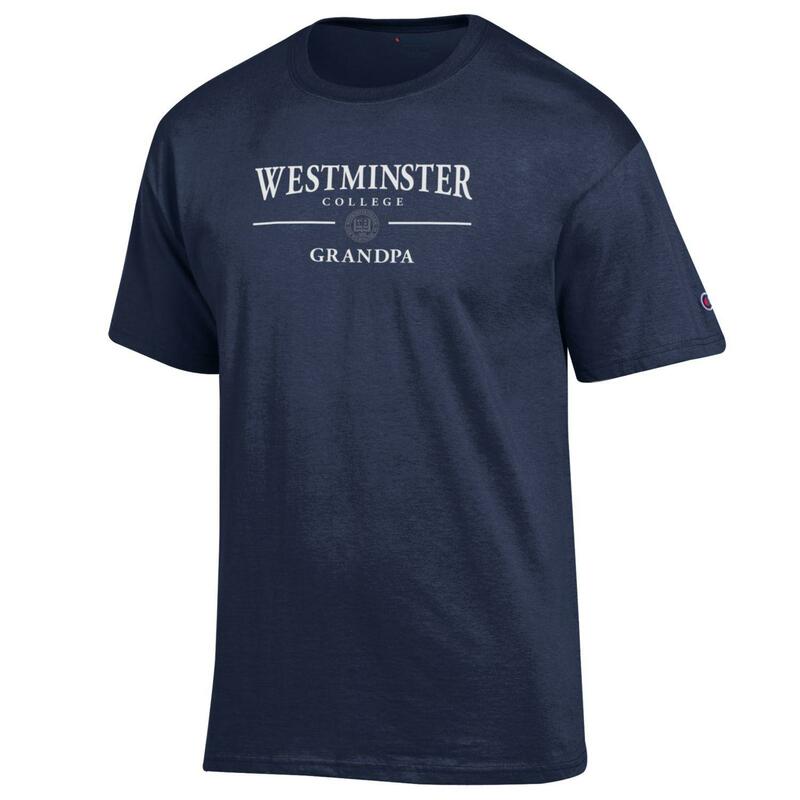 Please select option for Champion Short Sleeve GRANDPA Tee-Navy. Champion short sleeve, screen printed, jersey tee for Mom has set in neck ribbing. 100% cotton jersey. Available in Navy. Please select option for Champion Short Sleeve MOM Tee-Navy. Champion Stadium Stripe Polo with three button placket and Westminster Titans screen print on left chest. 100% polyester. Available in Navy. 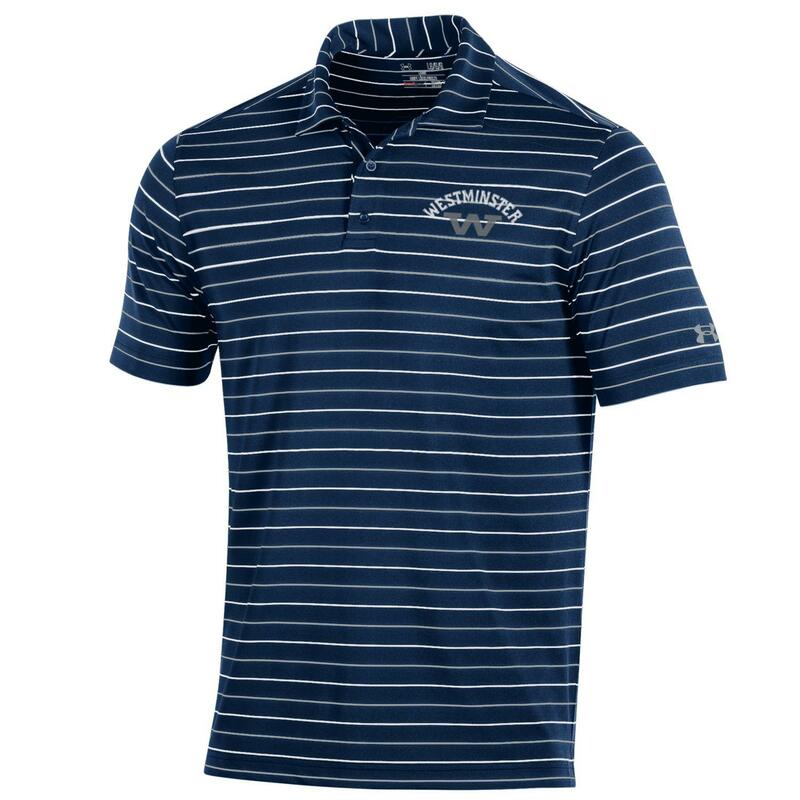 Please select option for Champion Stadium Stripe Polo-Navy. Classic Rugby Shirt features classic styling with 4" yarn dyed rugby stripe with heavy duty twill plackets and rubber buttons. Available in Navy and White Stripe. 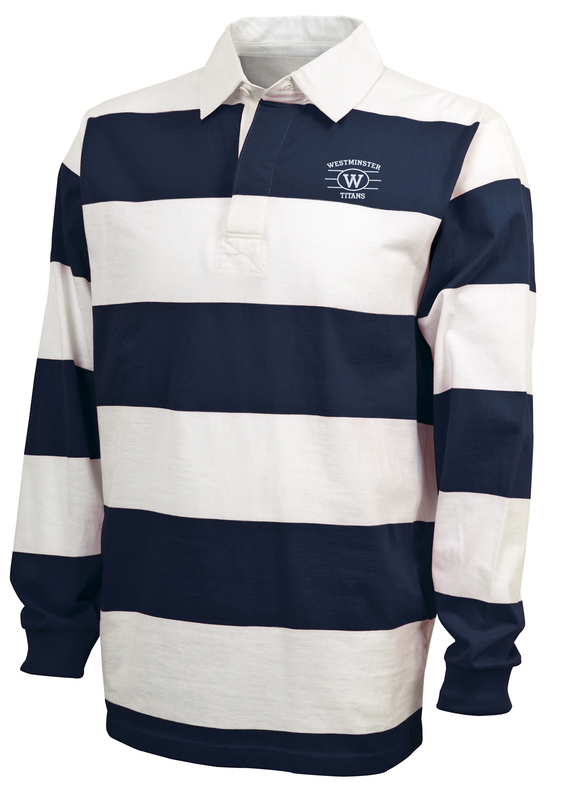 Please select option for Classic Rugby Shirt- Navy and White Stripe. Football Fan Jersey has white heat seal logo on center chest. 100% polyester, double-needle hem and jock tag. Available in navy. Please select option for Football Fan Jersey. 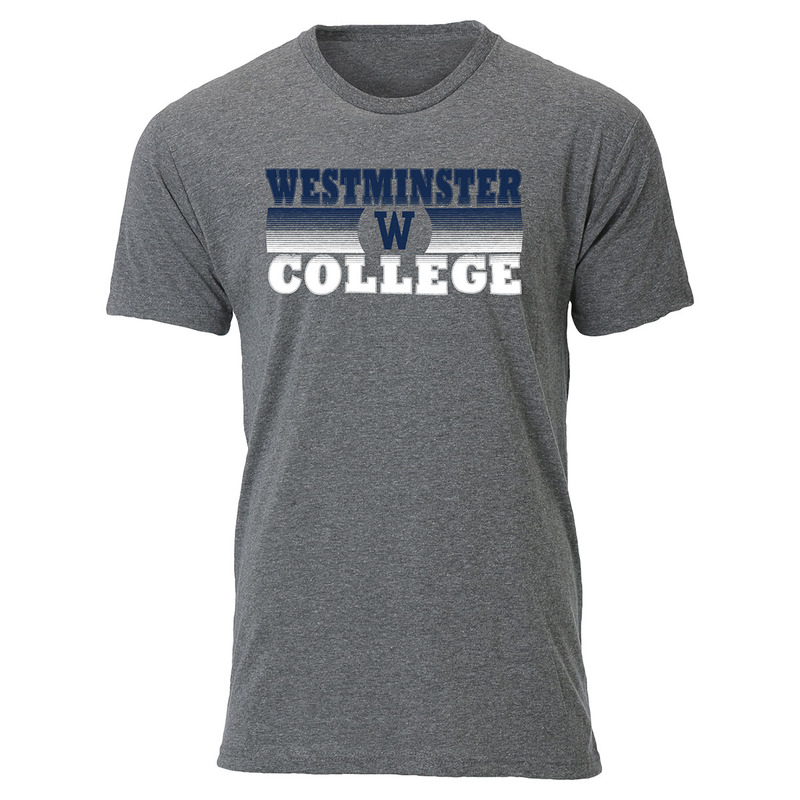 Show your Titan pride with a limited edition Westminster College Homecoming tee shirt. 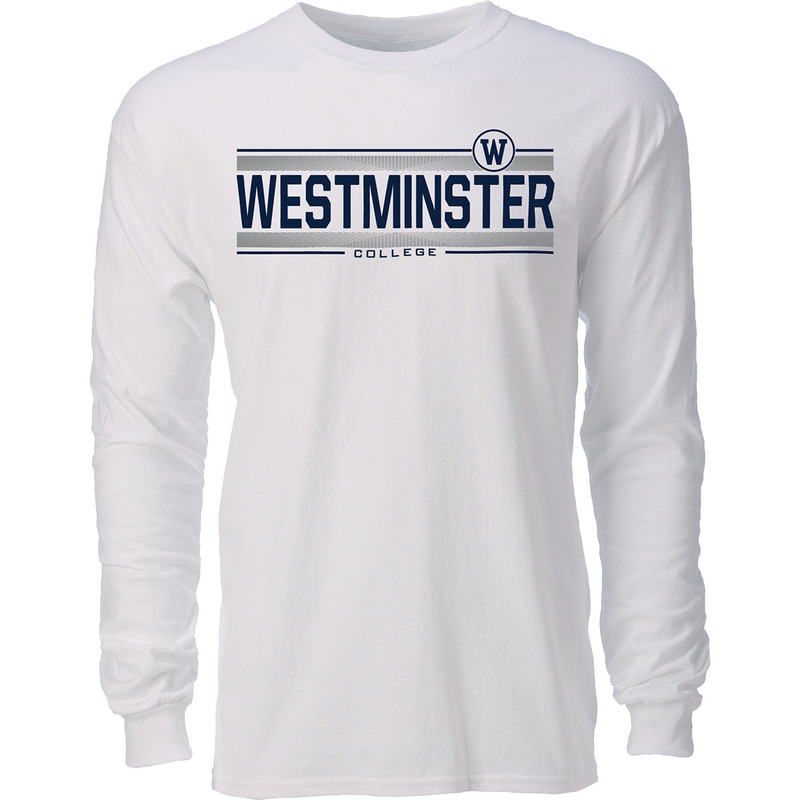 Long sleeve tee shirt is available in navy with white lettering. 100% cotton. 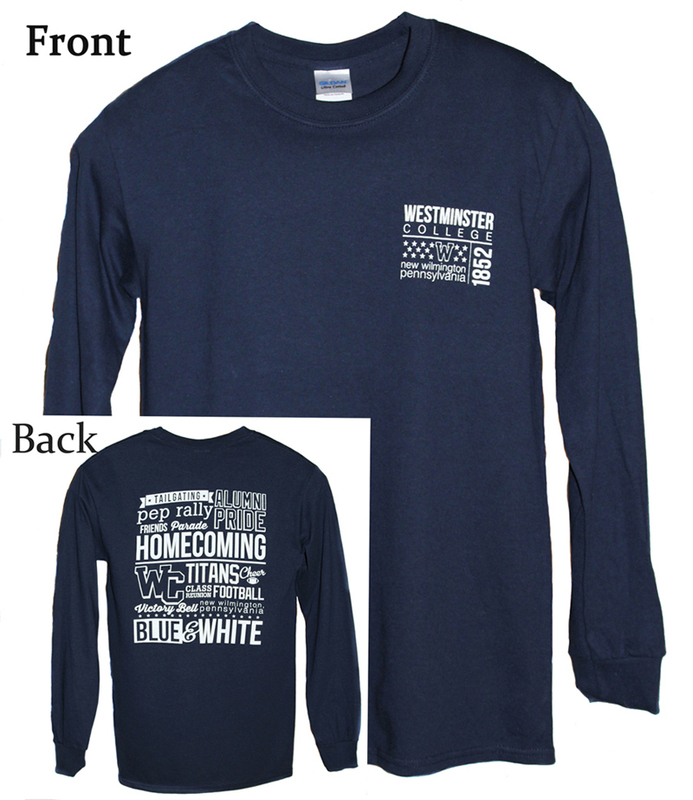 Please select option for Homecoming Long Sleeve Tee-Navy. J America Tri-Blend LACROSSE Tee is made from 50%poly/25% cotton/25% rayon for a soft vintage look. Available in Dark Smoke Gray. Please select option for J America Tri-Blend LACROSSE Tee-Dark Smoke Gray. 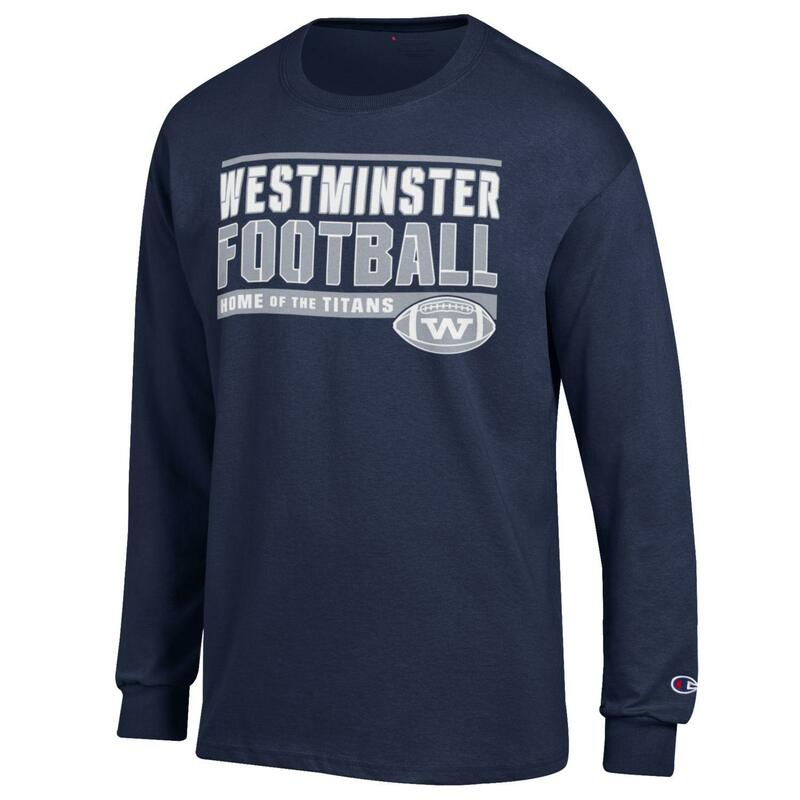 League All American ALUMNI Long Sleeve Tee is super soft and features three button tab collar with navy screen print Westminster Seal and Westminster Alumni on left chest. 100% ring spun cotton.Available in Midnight Heather Gray. 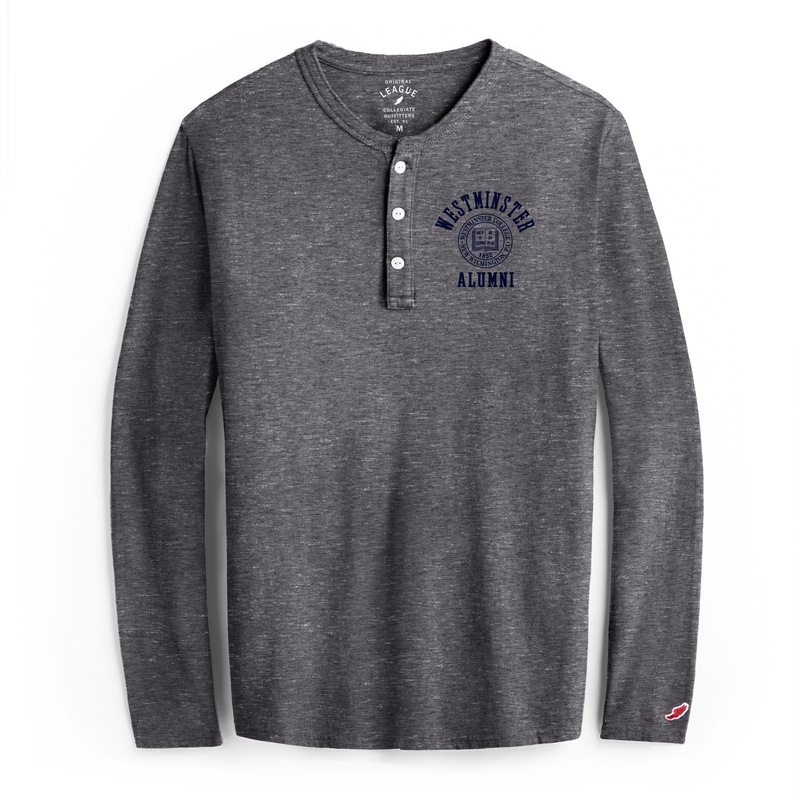 Please select option for League All American ALUMNI Long Sleeve Tee- Gray. League All American tee is extraordinarily soft with a vintage feel. 100% cotton. Available in Pacific Blue. Please select option for League All American Tee- Pacific Blue. League LADIES Clothesline Long Sleeve Tee has dropped shoulders with higher hem in front and a dropped hem on back with screen print graphic. 100% Cotton. Available in Ash gray. Please select option for League LADIES Clothesline Long Sleeve Tee- Light Gray. League Short Sleeve TriBlend Jersey FOOTBALL Tee is a classic made of luxurious soft jersey. 50 Cotton/37 Poly/13 Rayon. Available in Dark Heather Gray. 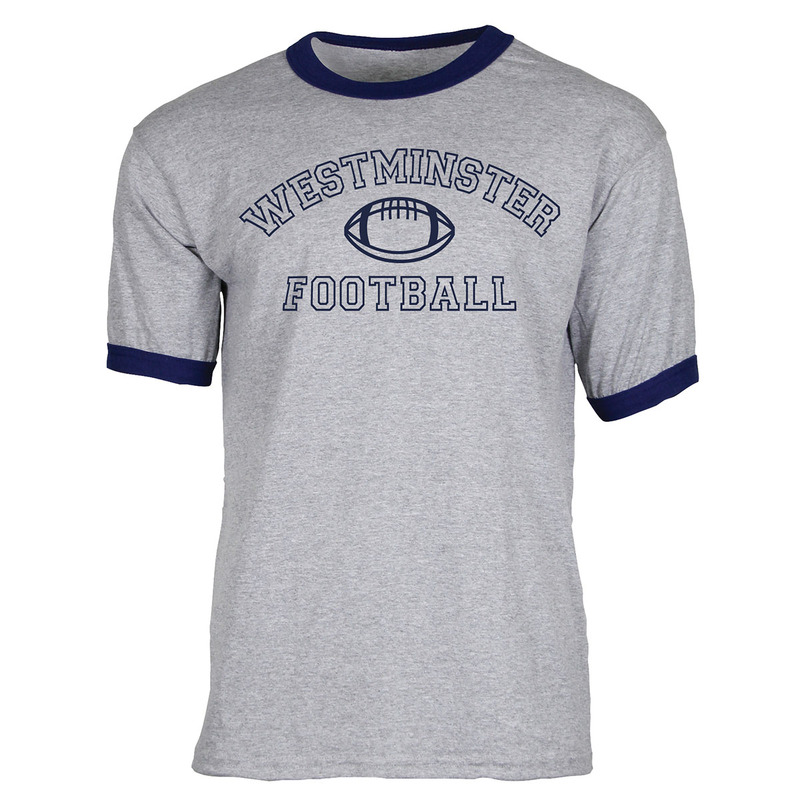 Please select option for League Short Sleeve TriBlend Jersey FOOTBALL Tee-Dark Gray. League Short Sleeve TriBlend Jersey Tee is a classic made of luxurious soft jersey. 50 Cotton/37 Poly/13 Rayon. Available in Dark Slate Gray. Please select option for League Short Sleeve TriBlend Jersey-Dark Slate Gray. 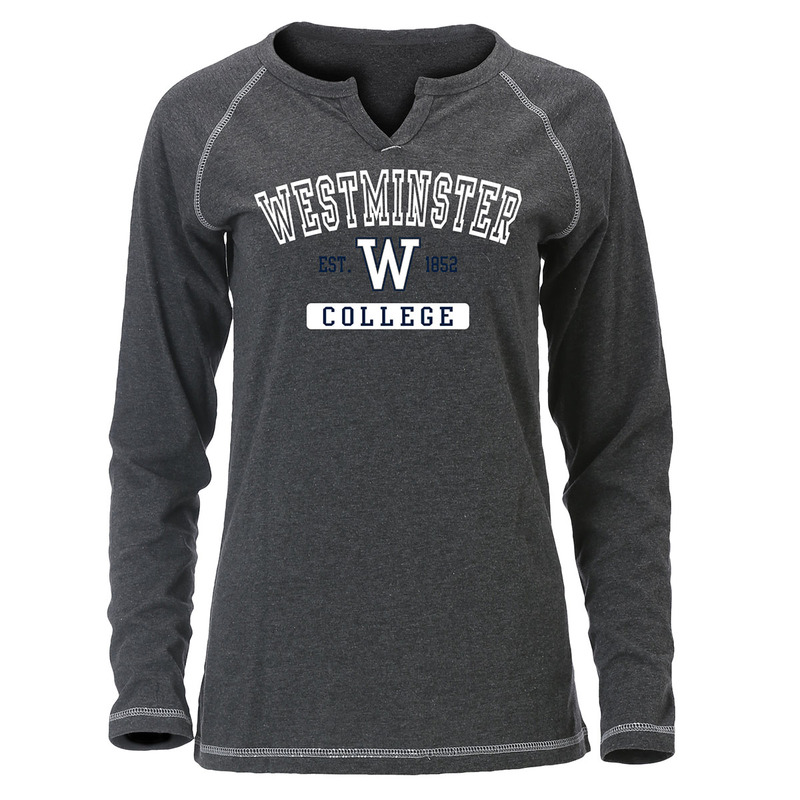 Ladies long sleeve tee has notched neckline, raglan sleeves, with roomy fit for maximum movement and comfort. 90% pre-shrunk cotton/10% polyester jersey. Available in Bright Blue Heather. Please select option for Ouray Ladies Groove Long Sleeve Tee-Blue Heather. 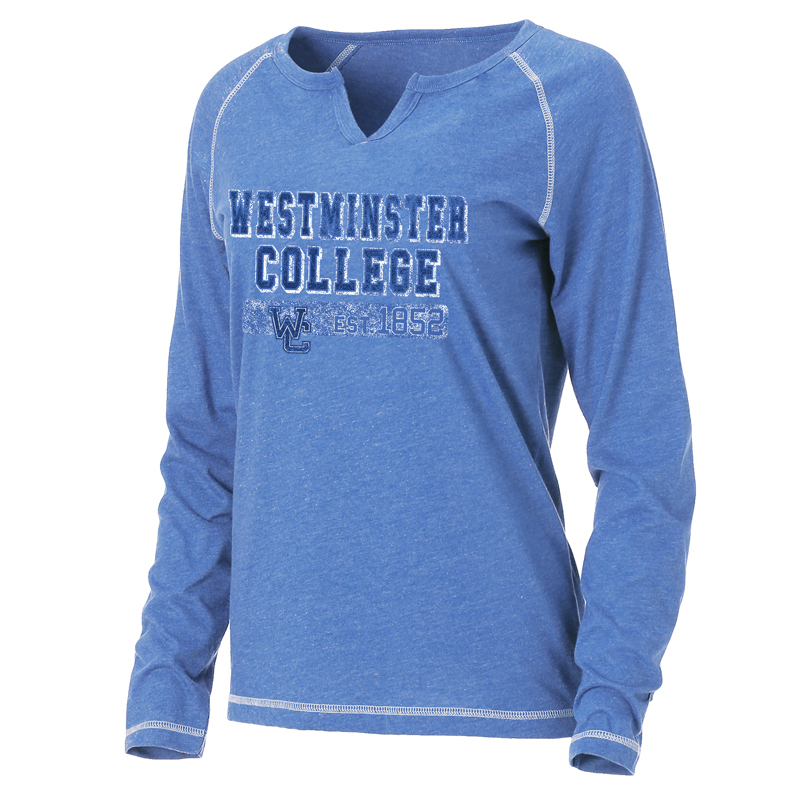 Ladies long sleeve tee has notched neckline, raglan sleeves, with roomy fit for maximum movement and comfort. 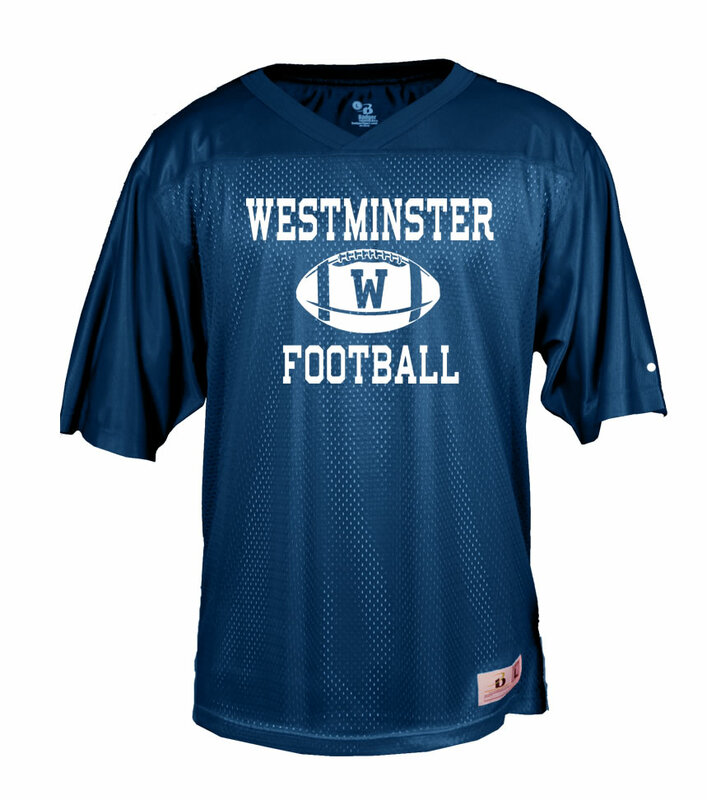 90% pre-shrunk cotton/10% polyester jersey. Available in Charcoal Gray. Please select option for Ouray Ladies Groove Long Sleeve Tee-Charcoal Gray. 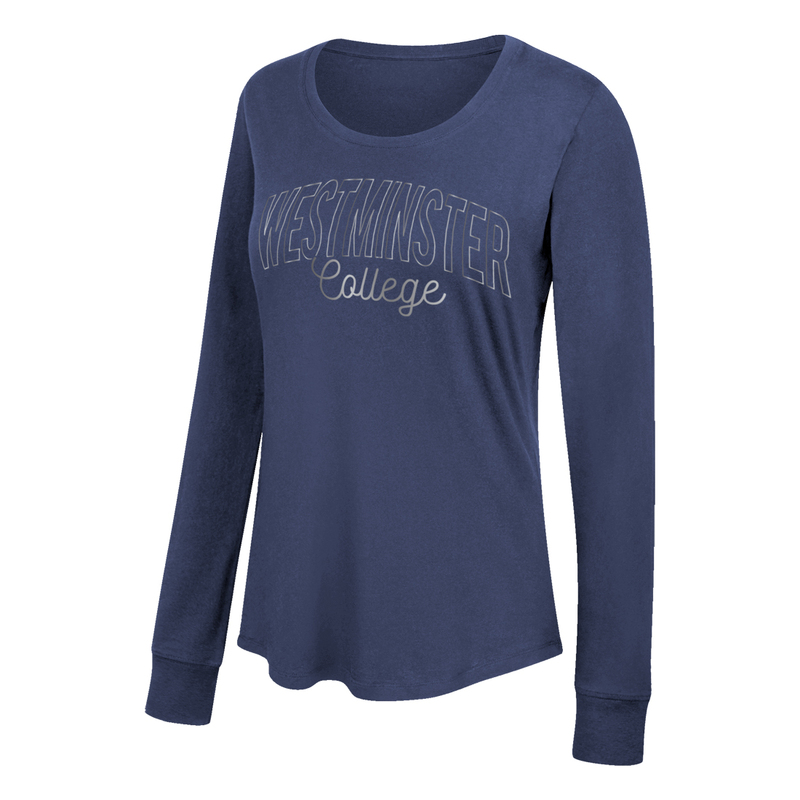 Ladies long sleeve tee has notched neckline, raglan sleeves, with roomy fit for maximum movement and comfort. 60% pre-shrunk cotton/40% polyester jersey. Available in Navy Heather. Please select option for Ouray Ladies Groove Long Sleeve Tee-Navy Heather. 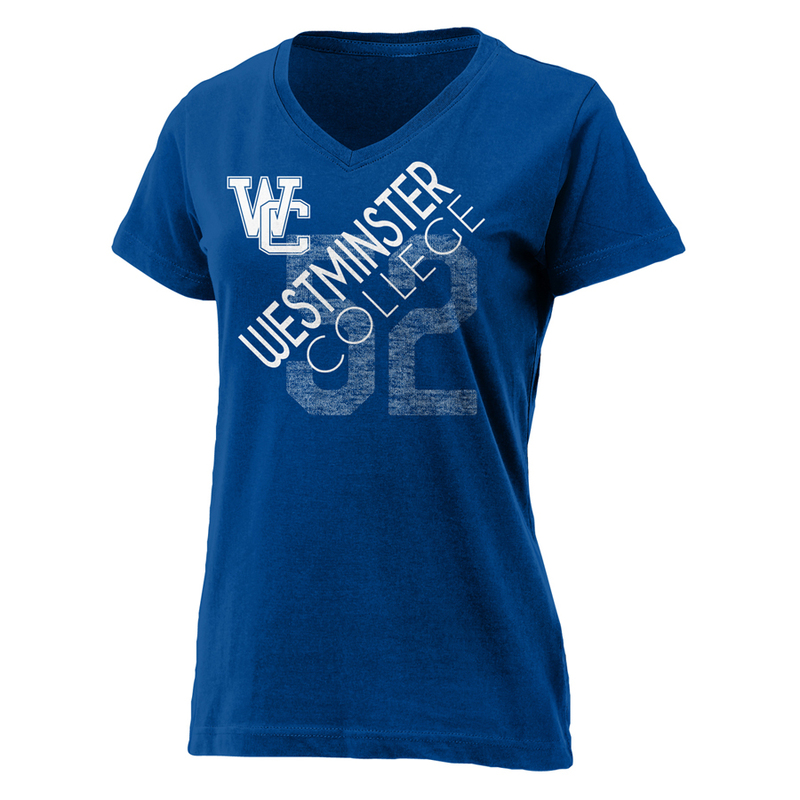 Ladies V-neck, screen print tee has roomy fit for maximum movement and comfort. 100% pre-shrunk cotton. Available in Bright Blue. Please select option for Ouray Ladies Relaxed V-Neck Tee-Bright Blue. Please select option for Ouray Ladies Relaxed V-Neck Tee-Navy. Please select option for Ouray Ladies Relaxed V-Neck Tee-White. Ouray Long Sleeve Tee is screen printed in navy and white and features comfortable heavy jersey with taped shoulder seams for durability. 100% cotton jersey. Available in Dark Gray. Please select option for Ouray Long Sleeve Tee-Dark Gray. Ouray Long Sleeve Tee in navy is screen printed and features comfortable heavy jersey with taped shoulder seams for durability. 100% cotton jersey. Available in Navy. Please select option for Ouray Long Sleeve Tee-Navy. Ouray Long Sleeve Tee in white is screen printed and features comfortable heavy jersey with taped shoulder seams for durability. 100% cotton jersey. Available in White. Please select option for Ouray Long Sleeve Tee-White. Ouray Ringer FOOTBALL Short Sleeve Tee is screen printed in matching navy and constructed of lightweight jersey with double hemmed bottom. 50 Poly/50 Cotton Jersey. Available in Athletic Heather Gray. 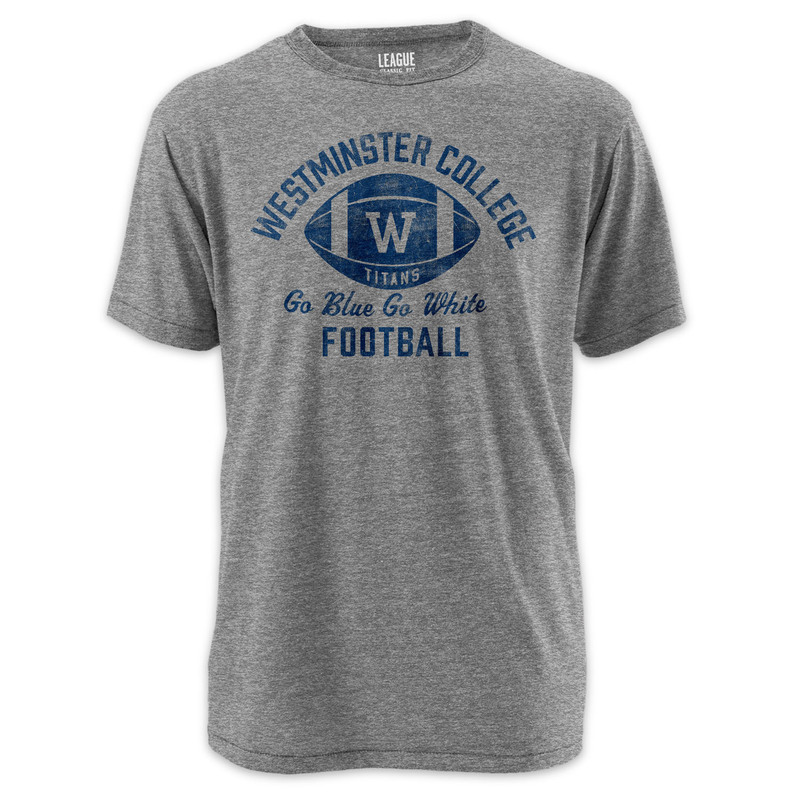 Please select option for Ouray Ringer FOOTBALL Short Sleeve Tee-Athletic Heather Gray. Ouray Short Sleeve Patriotic Tee is constructed from 100% cotton jersey featuring Westminster in US flag screen print. Rugged yet comfortable. Available in Oxford Gray. Please select option for Ouray Short Sleeve PATRIOTIC Tee-Oxford Gray. Tri-Blend screen printed tee is made of super soft jersey material. 50% polyester/25% cotton/25% rayon. Available in Heather Grey. Please select option for Ouray Tri-Blend Tee-Premium Heather. Top of the World Ladies Favorite dual blend long sleeve tee is constructed of soft jersey with curved shirt tail hem. 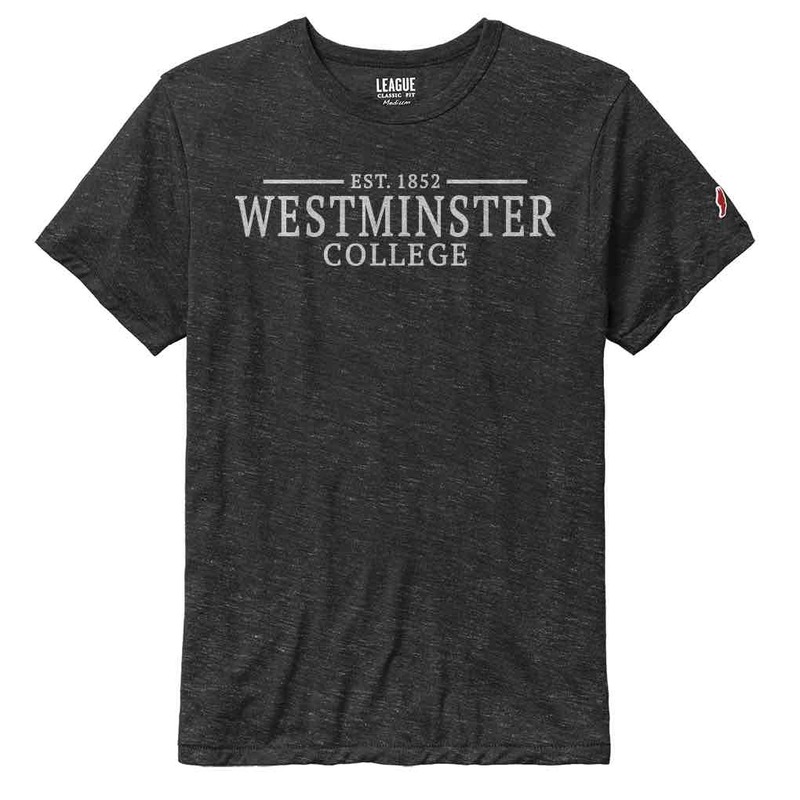 Westminster College is screen-printed in silver foil ink. 60% Cotton/40% Poly Jersey. Available in Navy. Please select option for Top of the World Ladies Long Sleeve Tee-Navy. Under Armour Charged Cotton BASKETBALL Long Sleeve Tee features set-in sleeve construction and rib collar. 57% Cotton/ 38% Polyester/ 5% Spandex. Available in Carbon Gray. Please select option for Under Armour Charged Cotton BASKETBALL Tee-Carbon Gray. Under Armour Charged Cotton Short Sleeve FOOTBALL Tee features set-in sleeve construction and rib collar. 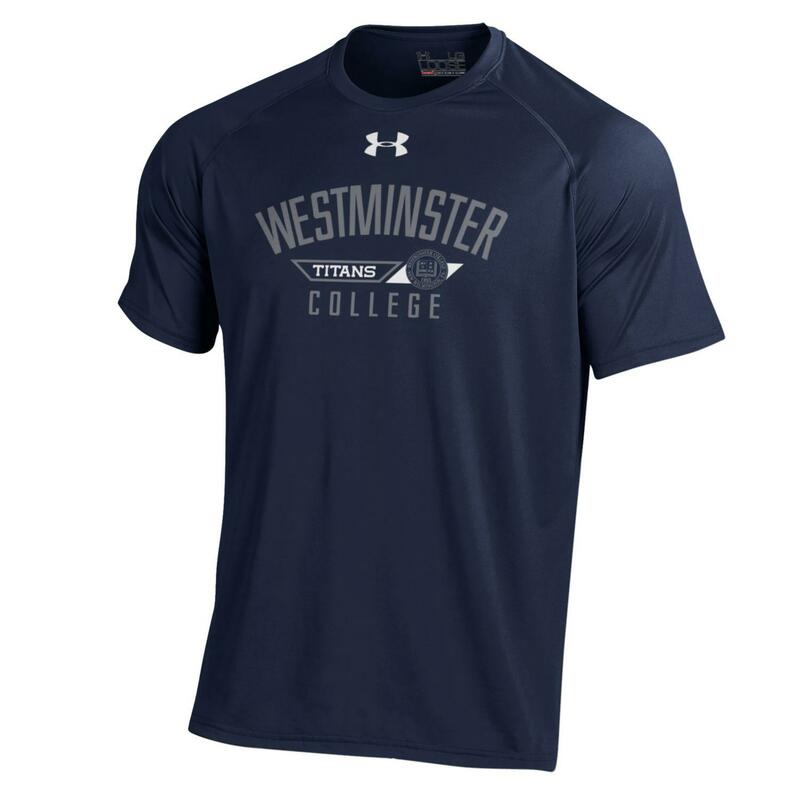 Westminster football and helmet on front with TITANS on shirt back. 57% Cotton/ 38% Polyester/ 5% Spandex. Available in Navy. 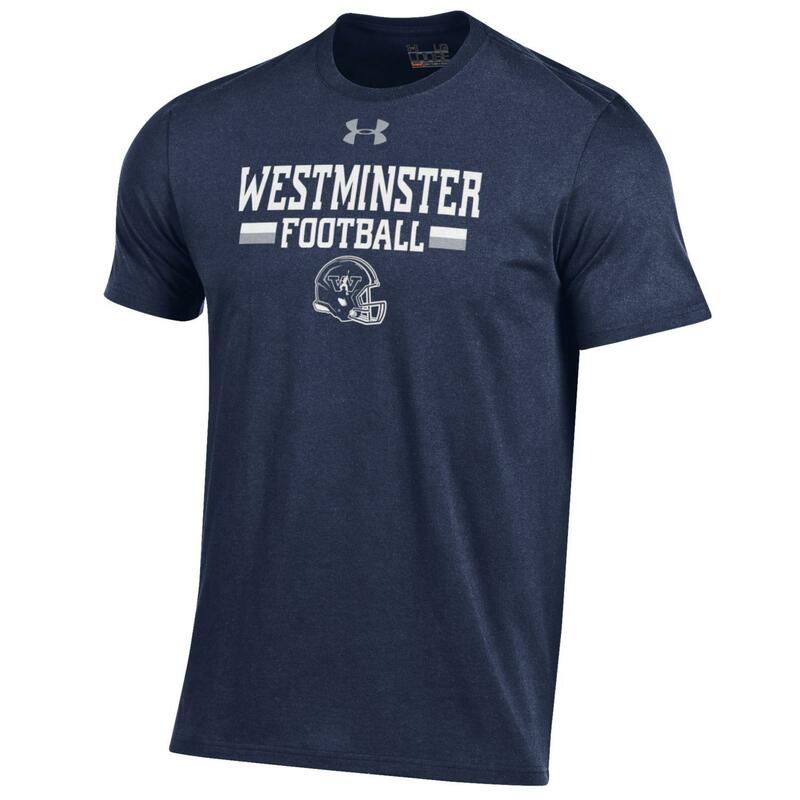 Please select option for Under Armour Charged Cotton Short Sleeve FOOTBALL Tee-Navy. Under Armour Ladies heat gear, short sleeve tee featuring vertical screen printed graphic on lower right. Rounded hem for added coverage. Lightweight brushed fabric with soft, comfortable neck band. 100% polyester. Available in Dark Gray. 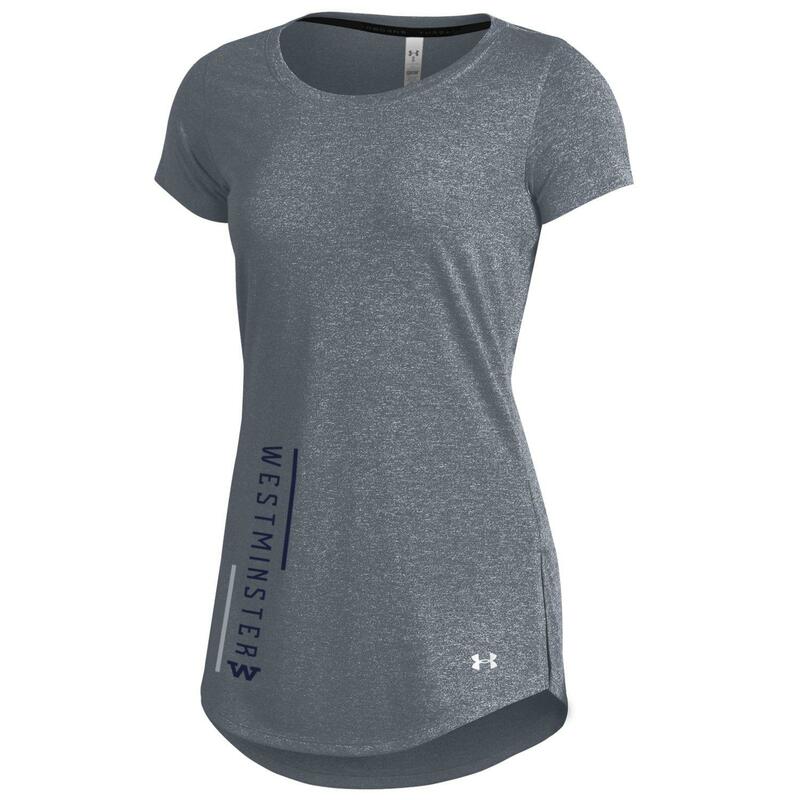 Please select option for Under Armour Ladies Threadborne Short Sleeve Tee-Dark Gray. Under Armour heat gear, loose fit, long sleeve tee. Lightweight brushed fabric with soft, comfortable neck band.100% polyester. Available in Midnight Navy. 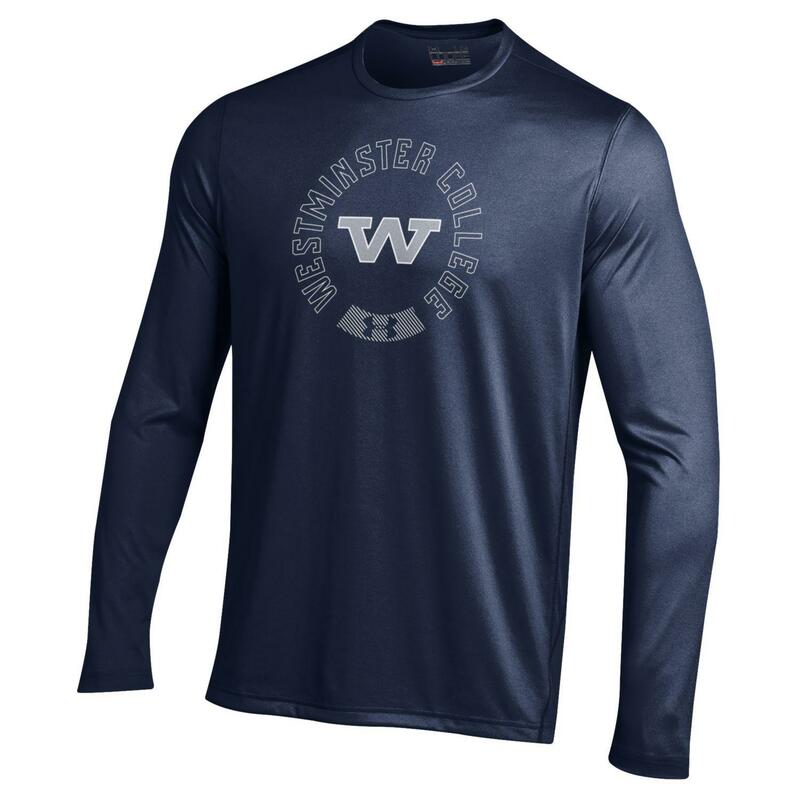 Please select option for Under Armour Long Sleeve Tech Tee-Midnight Navy. Under Armour Performance Cotton Long Sleeve Tee features set-in sleeve construction and rib collar. 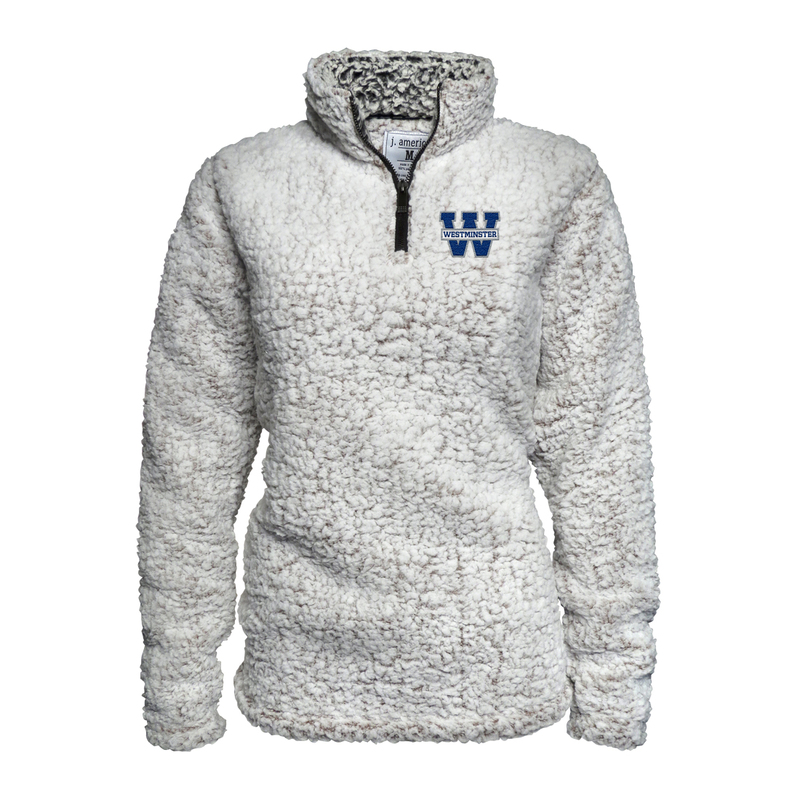 60% Cotton/ 40% Polyester. Available in Midnight Navy. Please select option for Under Armour Performance Cotton Long Sleeve Tee-Navy. Under Armour Performance Cotton Short Sleeve Tee features set-in sleeve construction and rib collar. 60% Cotton/ 40% Polyester. Available in Carbon Heather Gray. 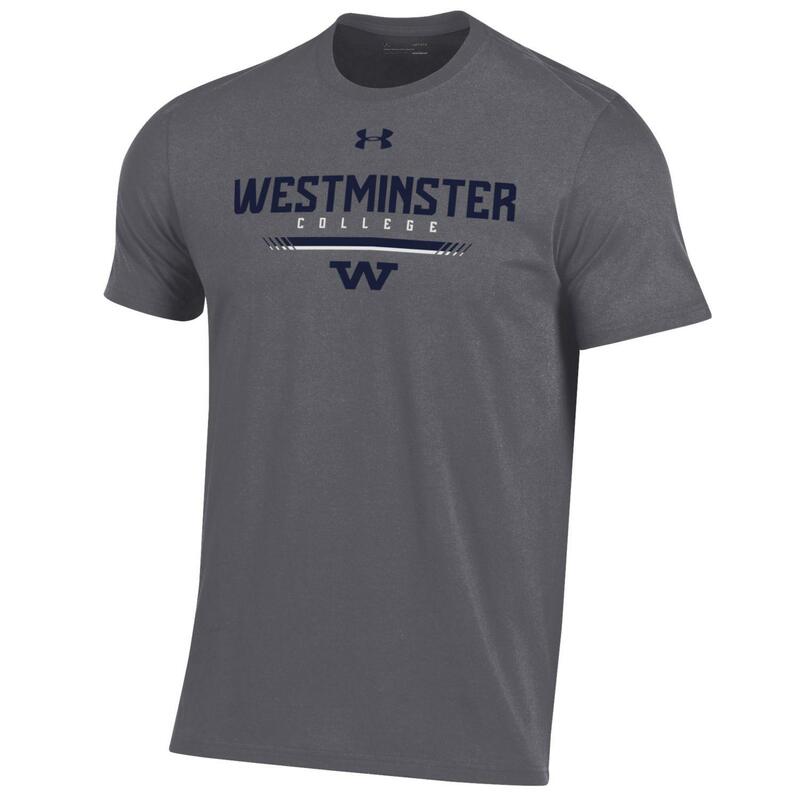 Please select option for Under Armour Performance Cotton Short Sleeve Tee-Dark Gray. Heat Gear fabric keeps you cool. Available in Midnight Navy with Westminster WC embroidered on left chest. 95% polyester/5% spandex. 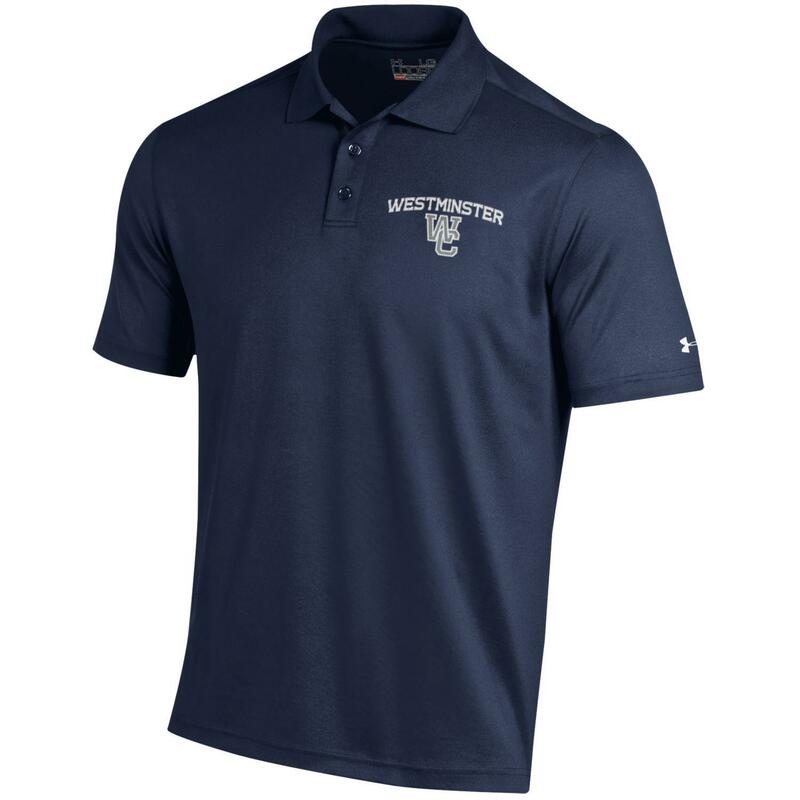 Please select option for Under Armour Performance Polo-Navy. Heat Gear fabric keeps you cool. 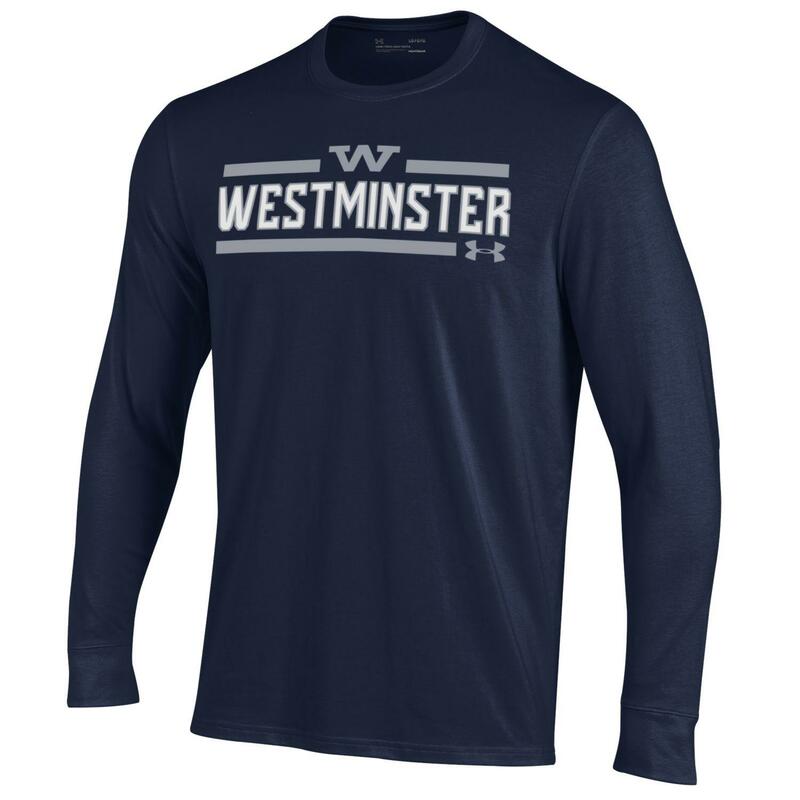 Available in Midnight Navy Stripe with Westminster and "W" embroidered on left chest. 95% polyester/5% spandex. 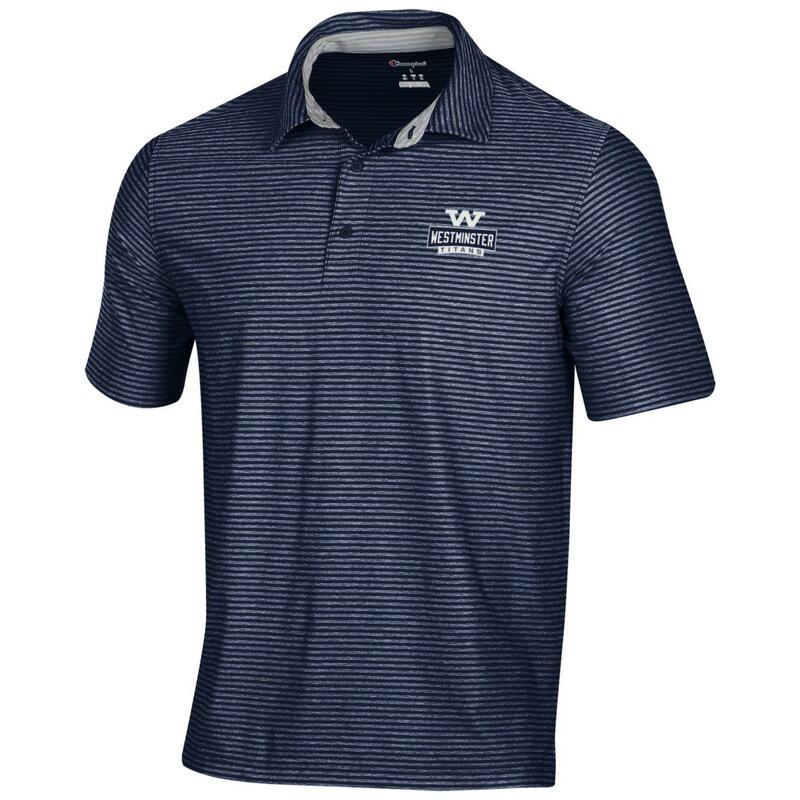 Please select option for Under Armour Performance Stripe Polo-Navy. Heat Gear fabric keeps you cool. 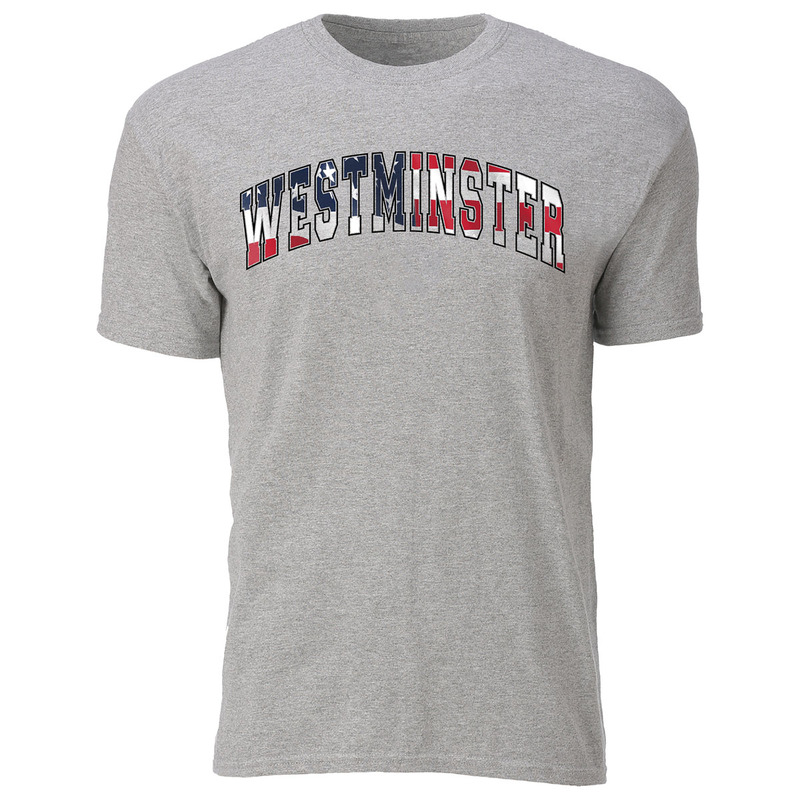 Available in White with light gray stripe with Westminster and "W" embroidered on left chest. 95% polyester/5% spandex. 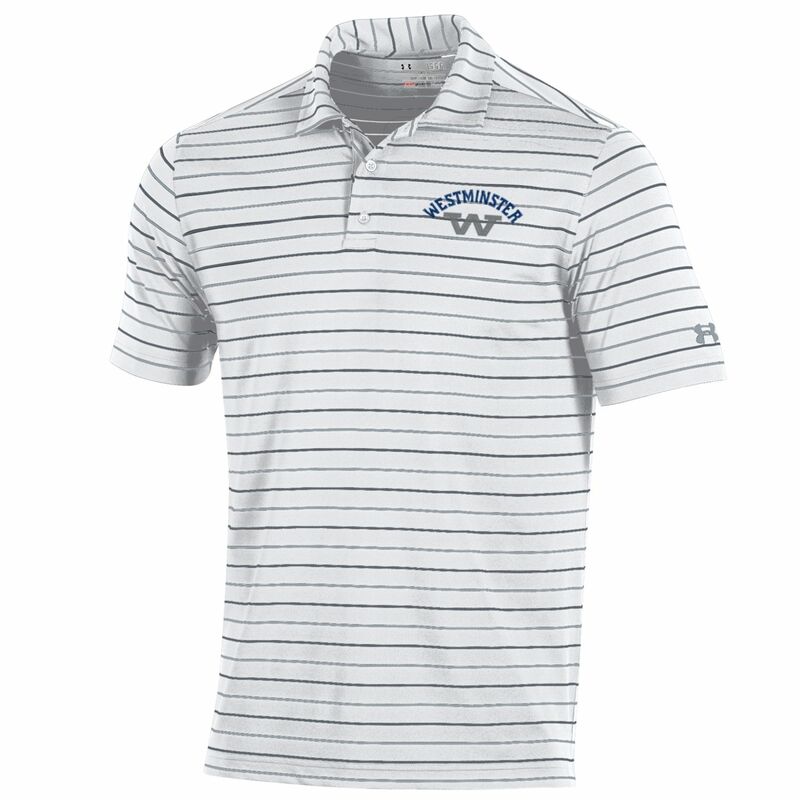 Please select option for Under Armour Performance Stripe Polo-White. Under Armour heat gear, loose fit, short sleeve tee. Lightweight brushed fabric with soft, comfortable neck band.100% polyester. Available in Carbon Heather Gray. Please select option for Under Armour Short Sleeve Tech Tee-Carbon Heather Gray. Under Armour heat gear, loose fit, short sleeve tee. Lightweight brushed fabric with soft, comfortable neck band.100% polyester. Available in Navy. Please select option for Under Armour Short Sleeve Tech Tee-Navy. Under Armour heat gear, loose fit, short sleeve tee. Lightweight brushed fabric with soft, comfortable neck band.100% polyester. Available in Midnight Navy. 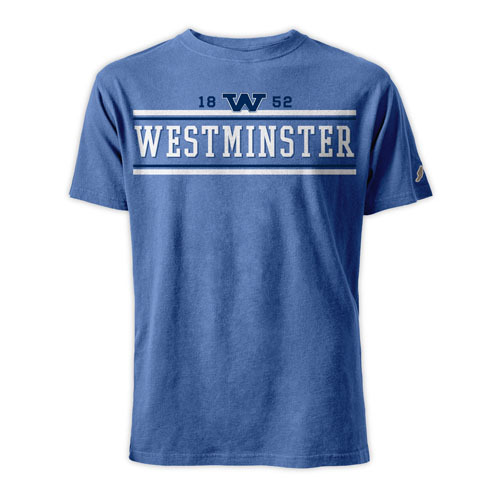 Basic t-shirt with Westminster College and seal imprinted in navy or white screen print lettering. Available in navy,white, pink, and oxford gray. 99/1 cotton/polyester. 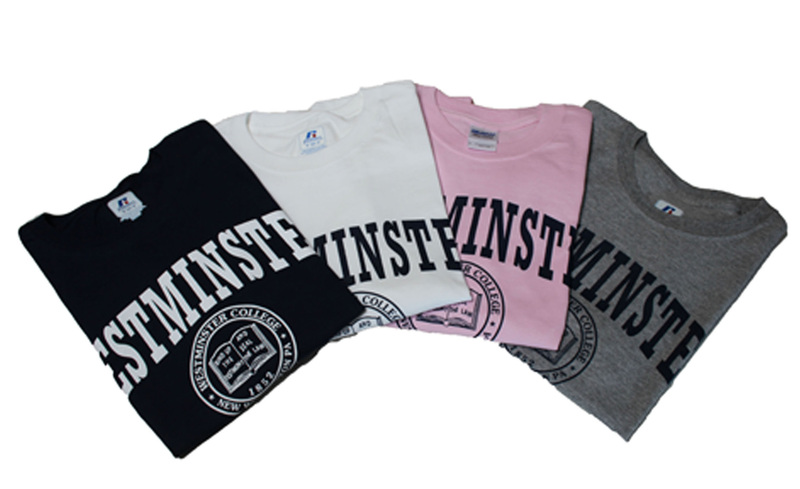 Please select option for Westminster Basic Tee Shirt-Navy, White, Pink, Oxford. 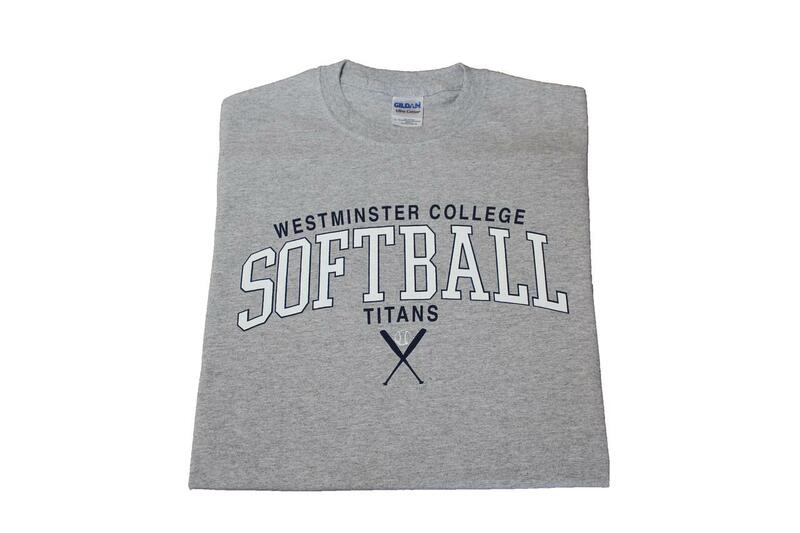 Oxford gray t-shirt with Westminster Titans imprinted in navy and white on center chest. 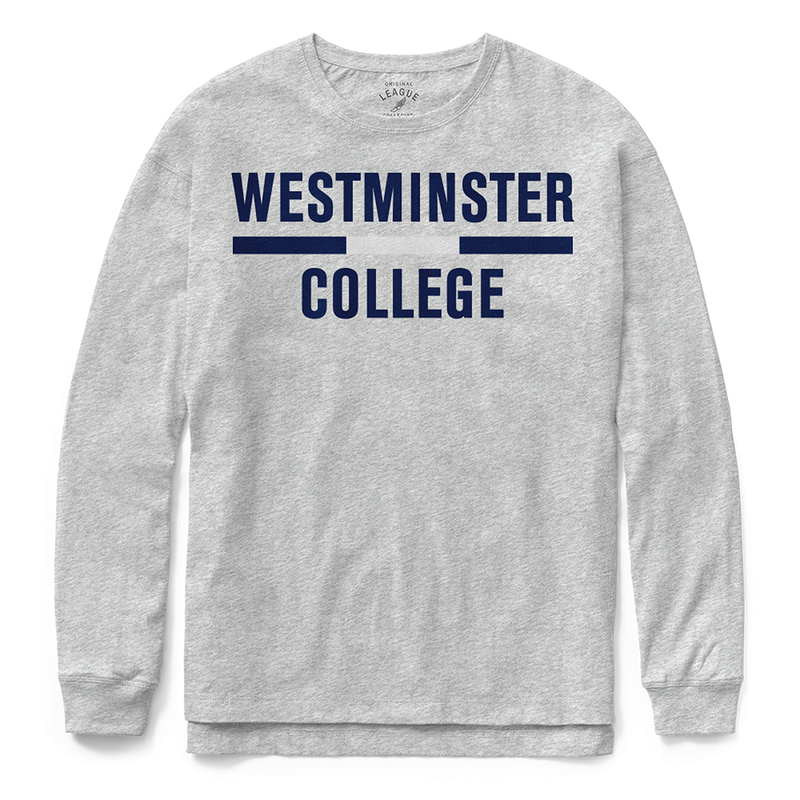 Available in oxford gray. 90/10 cotton/polyester. Available in long sleeve. Please select option for Westminster Titans Long Sleeve Sports Tee-all sports.